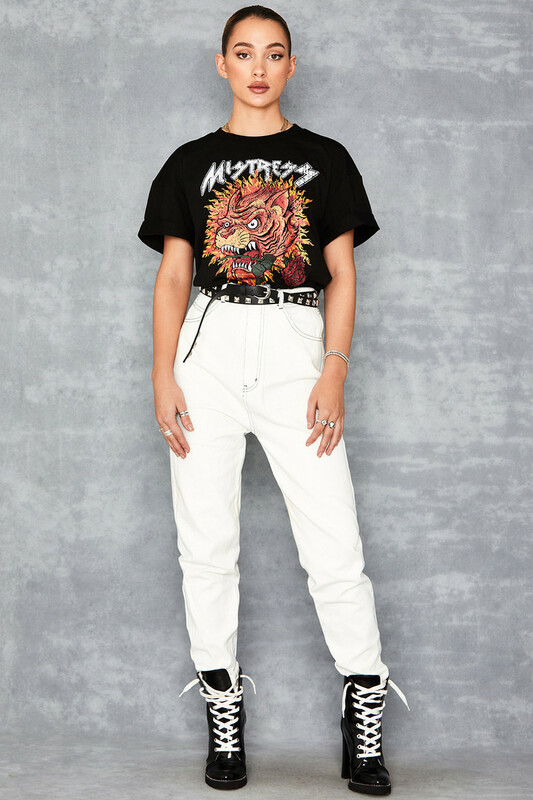 Keep it real in these ‘Perception’ jeans. 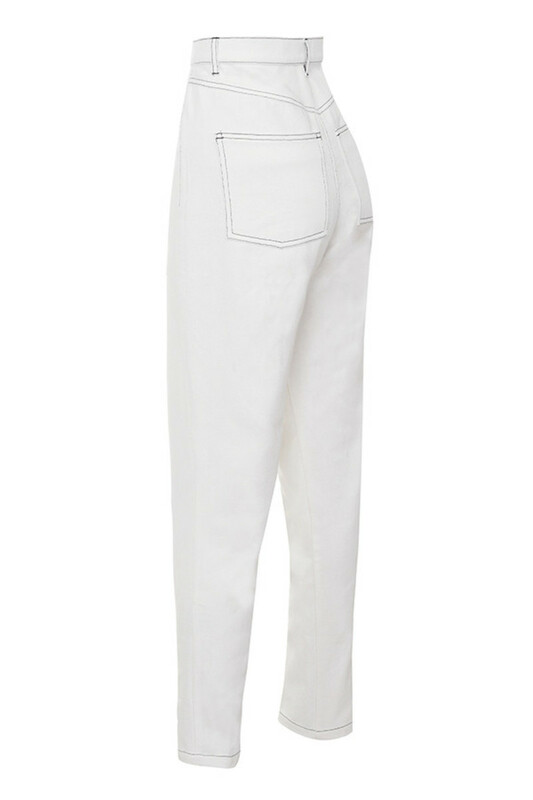 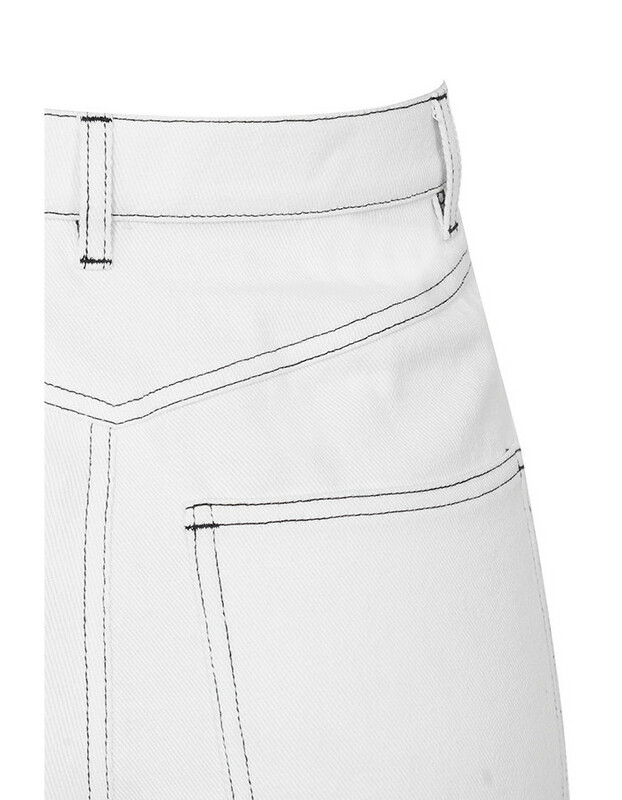 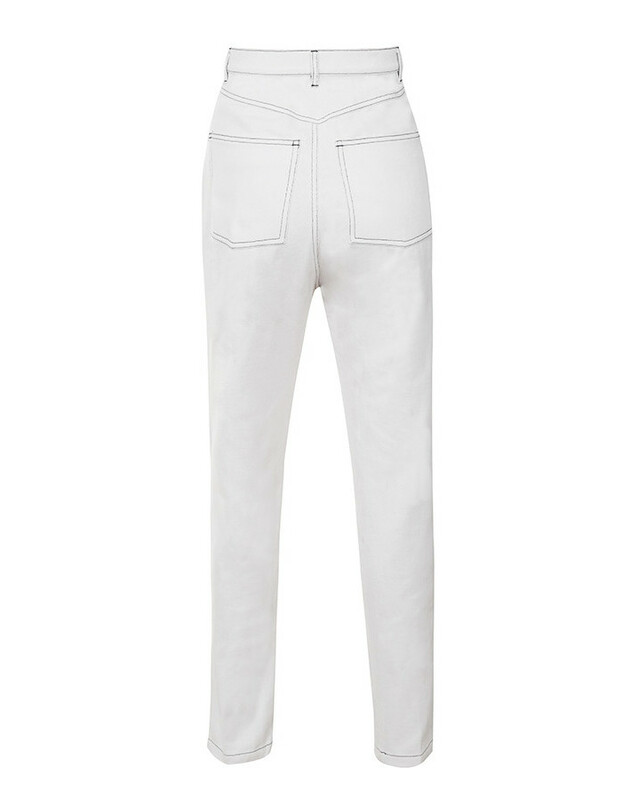 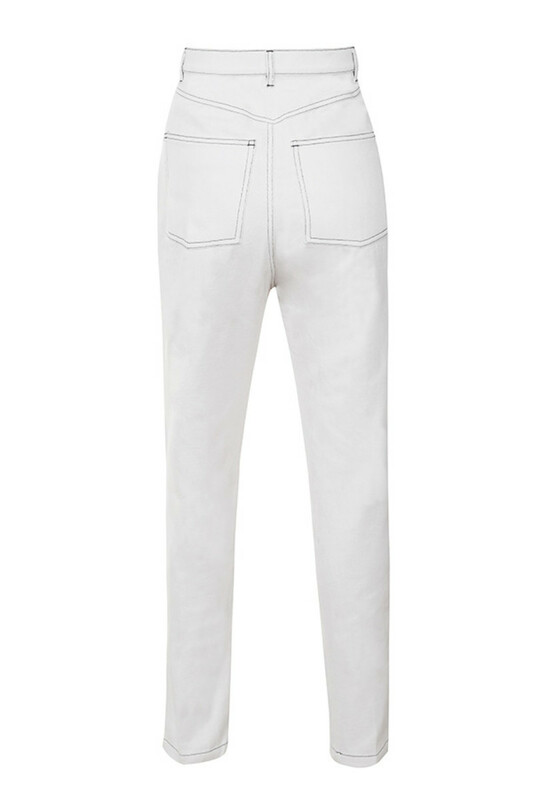 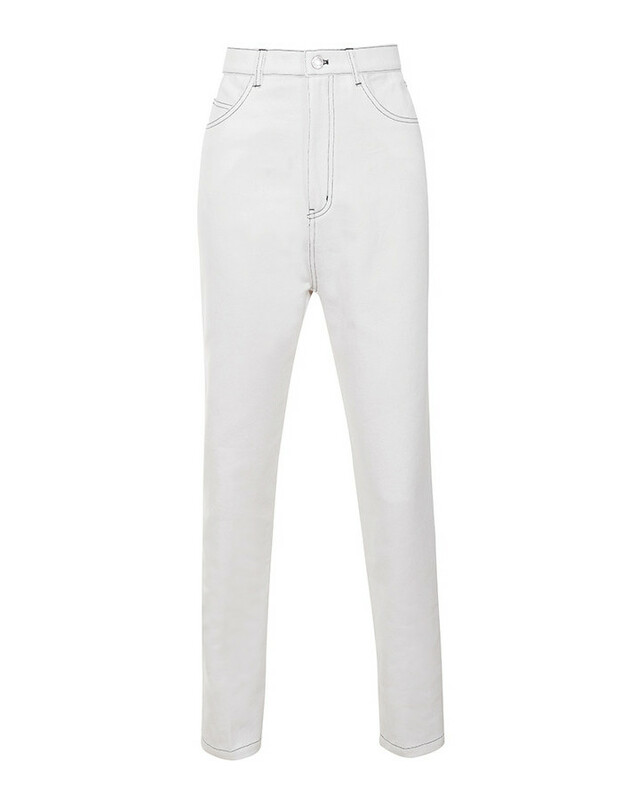 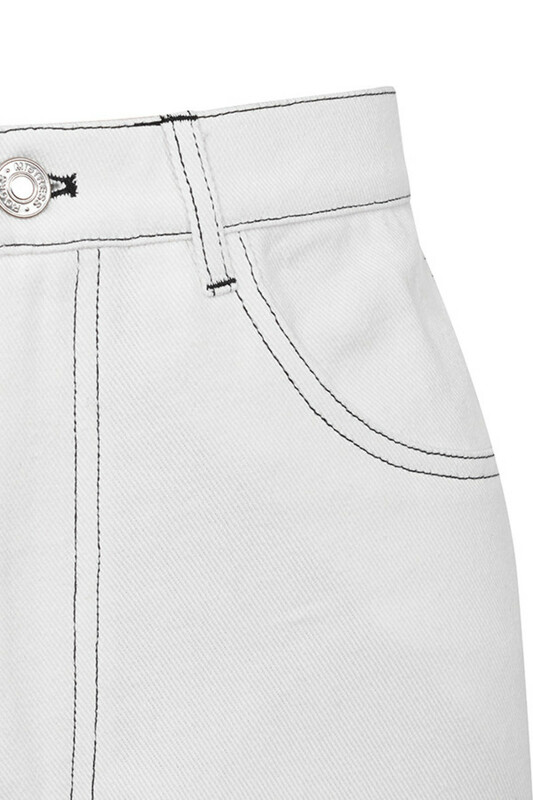 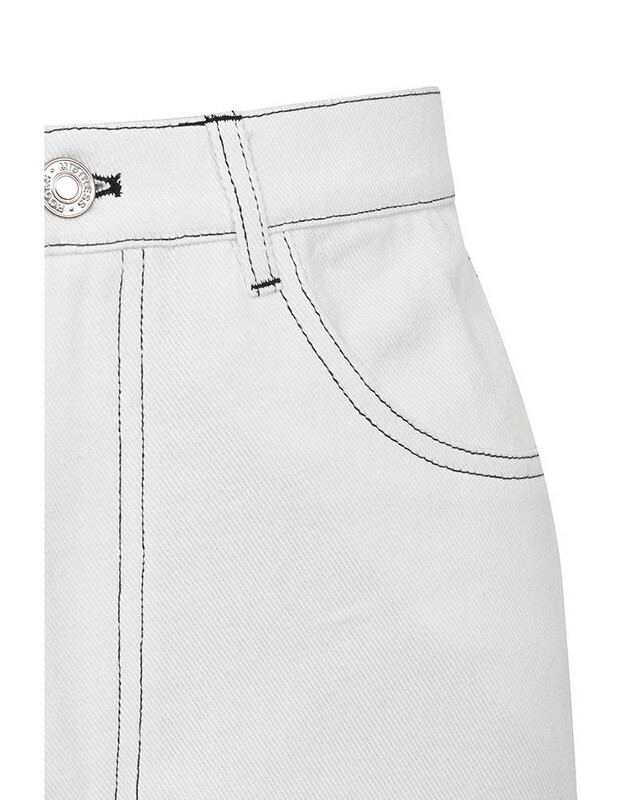 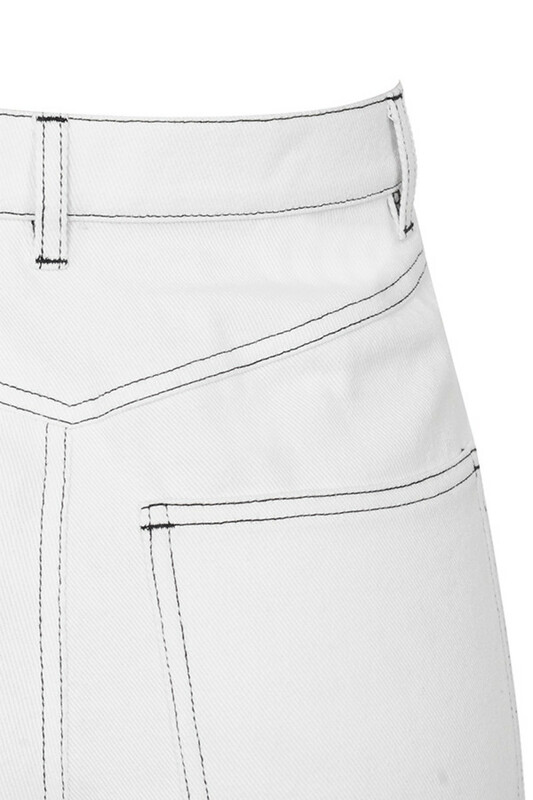 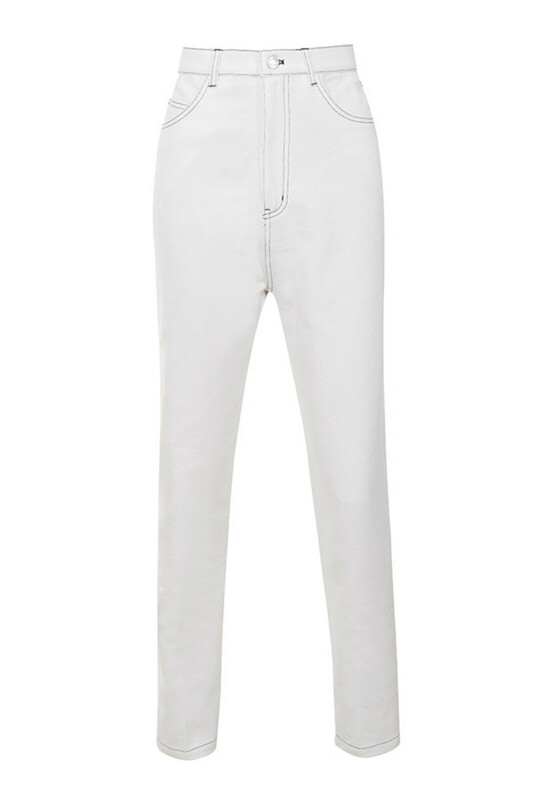 A tapered style for added shape, ‘Perception’ has a vintage edge in white. 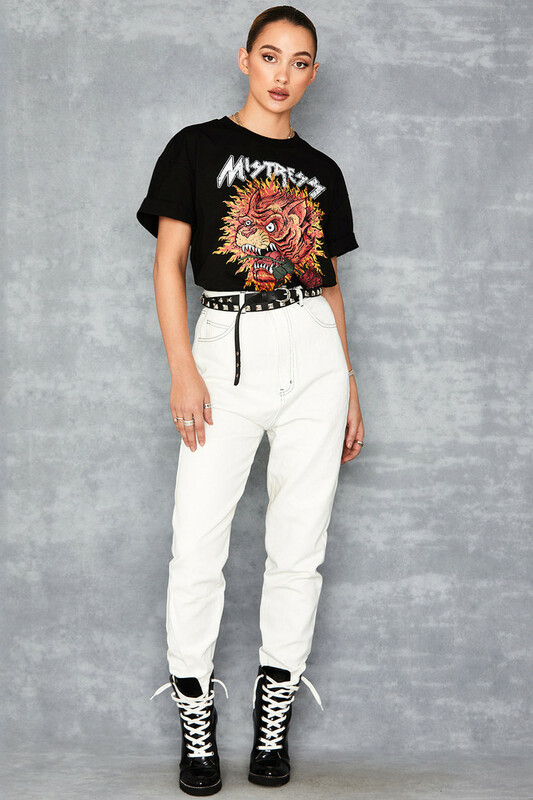 Detailed with all you could want from your jeans; the oversized fit makes them work fiercely with a crop top and lace-up boots.